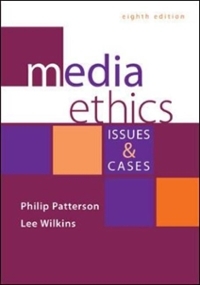 Media Ethics: Issues and Cases 8 Edition Media Ethics is a diverse, classroom tested compilation of 60 diverse cases that will help students prepare for the ethical situations they will confront in their media careers. Ninety percent of the cases are based on actual events, and authors from many institutions and media outlets contributed both real-life and hypothetical cases. There is a strong focus on ethical theory and practice throughout the book, which works well as both a main text in a media ethics course, and in an "across the curriculum" approach in other media courses.